Students in all kinds of classrooms love found-object sculpture. 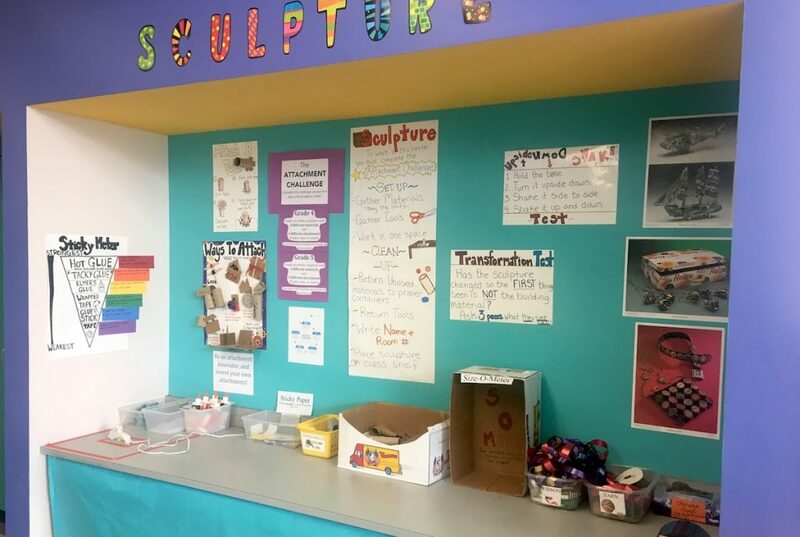 In choice-based and traditional classrooms alike, sculpture projects often take the cake, quickly becoming student favorites. This is likely because the kinesthetic and imaginative nature of building reaches even the most rambunctious and apathetic students. On the flip side, projects like these can often seem like a nightmare for teachers. And, if you teach in a choice- based classroom, you have the additional headache of maintaining a center over a period of time. It pays not to let fear stop you from diving in. A successful found-object sculpture lesson can lead to a truly authentic artist experience. That means failures, as well as successes and a variety of weird and wonderful outcomes! 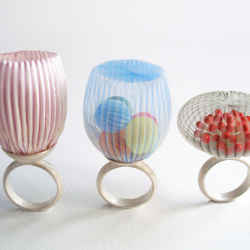 If you’re ready to try found object sculpture, here are some ways to start! Creating a culture of artistic collecting is a big part of maintaining a thriving found object sculpture area. 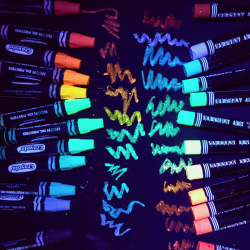 It’s also an important way to keep students engaged in the artmaking process outside of the classroom. It’s important to get students and parents excited and invested in collecting items for the classroom. I’ve created a list of the most useful items for my classroom for you to share or adapt for yours! Share your list on your school’s social media sites, digital newsletters, websites, or blogs. 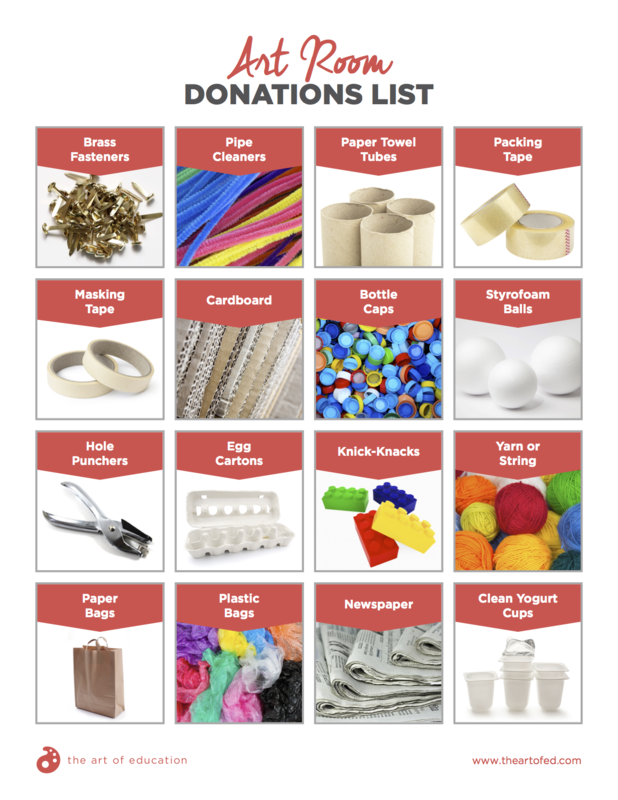 Post your lists around your school, including in the front office, on the front door, and next to a donation bin. Send a home a hard copy of your donation wishlist with students. Reward the class that brings in the most donations with a special privilege. Once you begin the culture of collection, you’ll be surprised by how much you get! Keep track of what is most useful to you and your students and edit your donations list to reflect this. Also, make families aware of what things you will not accept such as dirty items or items containing allergens. Finally, if you get a donation you can’t use, toss it or give it away right away. Do not let unwanted stuff pile up! Depending on how you run your classroom, your organization will vary. Whether your students visit a center or you provide materials at their tables, here are some tricks to staying organized. 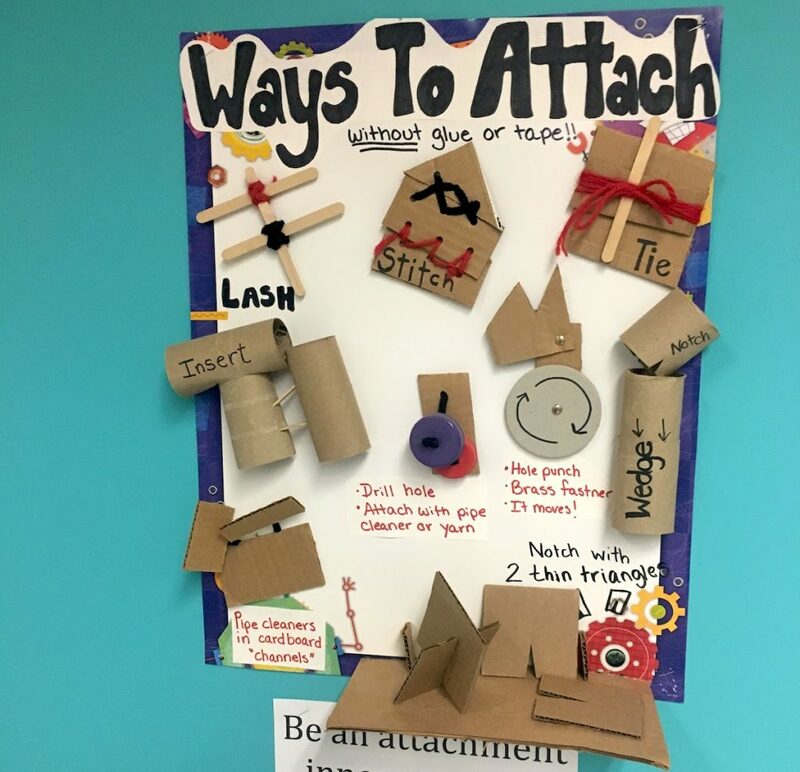 Limits are the key to keeping material choices innovative and allowing all students to try many materials. For popular or scarce items, like popsicle sticks, keep limits small. For example, students may be able to use only so many popsicle sticks per class period or project. As far as completed sculptures go, it’s often a good idea to create size parameters to allow for storage. Pre-cutting items like cardboard and pipe cleaners is essential. Not only will this force students to build from scratch, but it will also keep sculptures from getting too large. Depending on your storage capability and the size of your kiddos, you can cut items as small or large as you want. 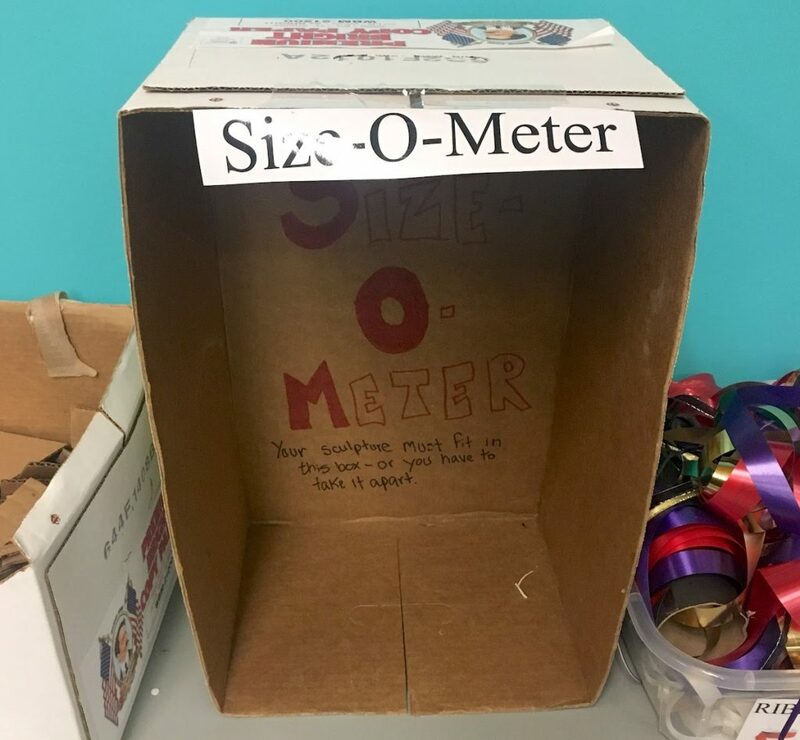 Resist the urge to give students boxes or egg cartons as this promotes the urge to fill them up instead of using them as raw building materials. Looking for more in-depth information about teaching sculpture? 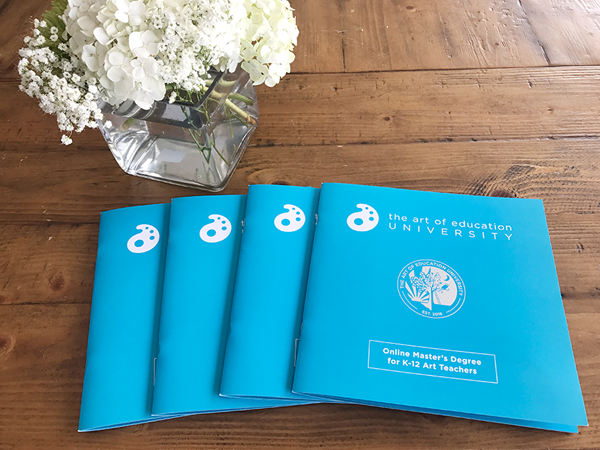 Don’t miss the Foolproof Methods for Teaching Beginning Sculpture Learning Pack in Art Ed PRO! You’ll discover new lessons and ideas that can be used with a variety of materials. Having a too-specific organizational system can lead to a lot of frustration for you and your students. 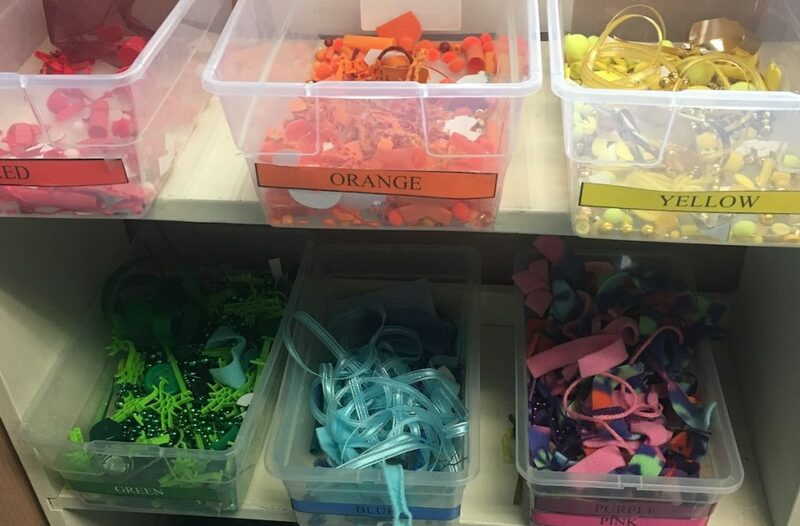 It can be fun and engaging to color code items to make things visually appealing and easy to clean for younger students. 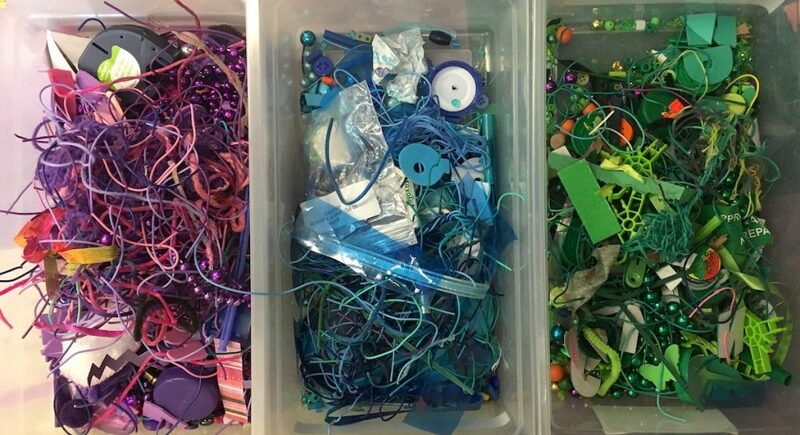 Keeping items mixed in a large box can lead to a treasure hunt feel, where students are inspired by what they discover. A mystery bag of items for students to use, trade, or share can lead to a culture of collaboration! Your set up doesn’t have to start perfectly. If you’re in a choice-based space, you can start with what you think will work and spend the first few weeks observing students using the center. What materials get used the most? The least? Which areas can’t stay organized? Why? Get feedback from students and make changes as needed. Centers work best when they grow and change with student needs. A list of available tools, materials, adhesives, etc. A rubric of the qualities of a finished sculpture such as strength, good balance, and aesthetics. A list of vocabulary words or artists who create found object sculptures. Here are 2 tricks to allow your students’ process to shine through with their product. 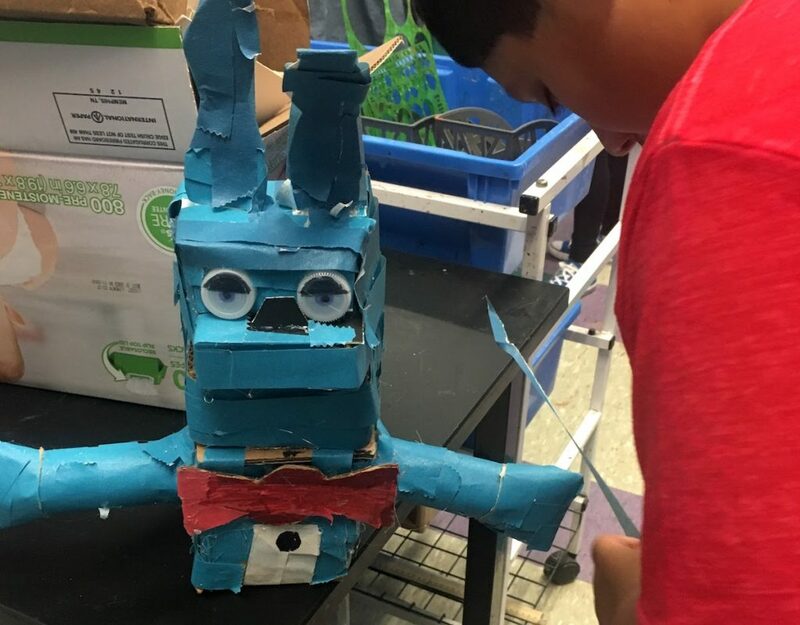 When sending home or displaying student creations, it’s always a good idea to have students write about their sculptures. You’ll be amazed at the magical world hidden beneath what adults can see. If you’re working with very young students, you can try to get a volunteer to scribe for them. It’s essential to help your staff and parents see the value of process as well. You can try providing a list of questions to help adults discuss student artwork. Or, you may send home a letter or reading list to explain the concept of process vs product, citing research. Now that you have the nuts and bolts of how to get started with found-object sculpture, it’s time to try it out! Remember it will take time and patience both for setting up the center and allowing kids to grow as creators. Don’t expect perfection. Give your students time to explore! As your students become more comfortable with building, you’ll be amazed at their capabilities. 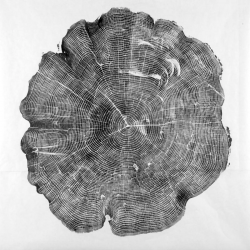 Do you do a found-object lesson or center? Share some successes or failures you’ve had with found-object sculpture in your classroom. Kelly teaches elementary TAB in Hopkinton, MA . 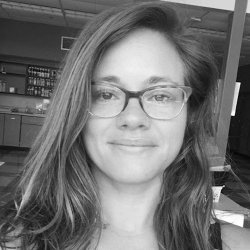 She strives to create an environment where all students can become independent, self-directed risk-takers. How can I edit the donation poster to fit my needs? Unfortunately, it’s a PDF but you can print it out, glue over the ones you don’t want with ones you do want and photo copy it! Or you can do this right in Microsoft Word publishing layout. Add the PDF in as a photo, add text boxes on top of what you want to cover, and plop in some open source images from the internet. LOVE!!!! 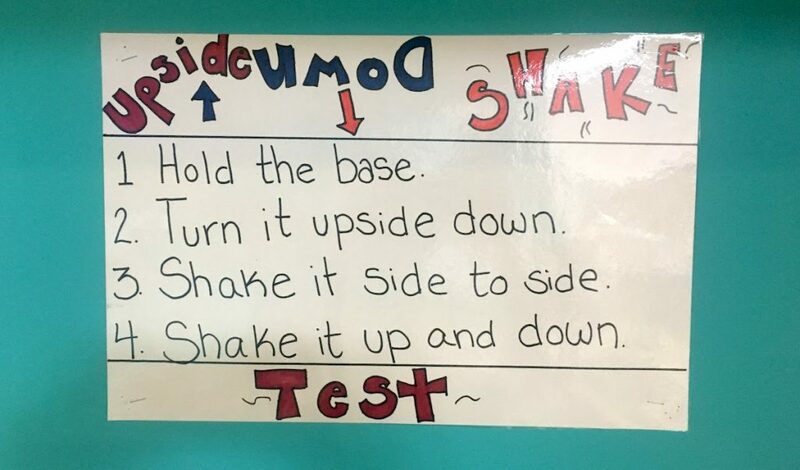 Such great realistic tips for a classroom. Perfect for a STEAM class. Thank you so much for sharing your expertise!! !